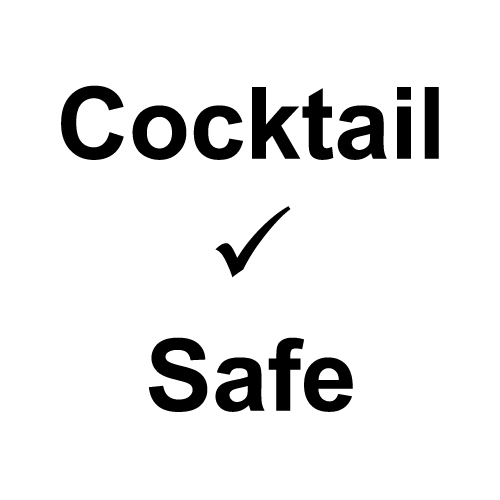 CocktailSafe has been mentioned in more media, according to my Google news alerts. The San Francisco Chronicle mentioned the website in a round-up of what Wine Editor Esther Mobley is reading. Cocktails & Bars also includes mention of CocktailSafe in their news round-up. And the new April print issue of Wine & Spirits magazine misprinted the website domain as CocktailSafety.org, so as of today both that domain and CocktailSafety.com point to this website. I'm not mad about it - I probably should have made that the main domain name in the first place! TODAY.com: "The truth about copper Moscow mule mugs and other dangerous cocktail combos"
LifeHacker.com "Mix Cocktails Safely With This New Website"
BarLifeUK.com "Camper English Launches Cocktail Ingredient Safety Website"
WoodworkingNetwork.com "Bartenders warned against mixing some woods with liquor"
TheSpiritsBusiness.com "New resource highlights dangerous cocktail ingredients"
AustralianBartender.com.au "This website will help you to not kill your customers"
GlobalNews.ca "Your Moscow mule might look nice, but its copper mug can seriously harm you"